The United States (US) announced its withdrawal from the United Nations (UN) Human Rights Council (HRC) on 19 June. Commenting on the decision, CSW’s United Nations Officer Claire Denman said: “CSW regrets the United States' decision to withdraw its membership of the UN HRC. 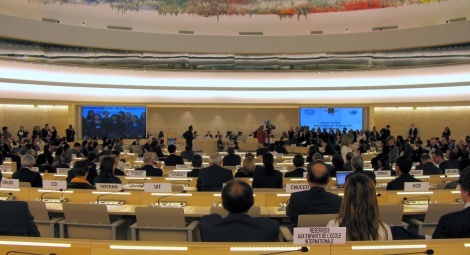 The HRC is the UN’s foremost human rights body, which addresses some of the world’s worst human rights violations and plays a key role in maintaining accountability among states. While the system is not perfect, it remains the key forum in which to challenge human rights records globally." "The decision to refrain from engaging on human rights issues at the HRC is particularly regrettable to former allies, and to members of civil society that have historically worked alongside the US to address grave and systematic human rights abuses, including crimes against humanity. The withdrawal will neither prompt nor advance efforts to address the HRC's anomalies, but is likely to strengthen the hand of recalcitrant states."